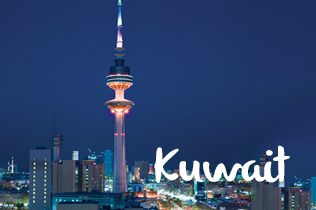 Philippine Airlines Promo 2016: Fly to Kuwait via Dubai onboard Philippine Airlines. Journey to the Middle East with the airline that cares for you like family - the care that comes only from the Heart of the Filipino. Enjoy a comfortable flight with delicious inflight meals and baggage allowance. We fly to Kuwait 4x weekly. Fare is equal to base fare + government taxes and fees + ticketing service fee + Philippine travel tax. Fare is subject to change due to currency conversion rate. All-in economy roundtrip fare is quoted per person. Fare is valid for a maximum stay of 6 months. Refund fee is USD100.00 for unused tickets and non-refundable for partially used tickets. No-show fee is USD75.00 per sector. Change fee is USD50.00 per transaction. Philippine Travel Tax is applicable to Philippine passport holders, foreigners holding a Philippine resident visa, and foreign tourists or expatriates who have stayed in the Philippines for more than one year. Ticket is non-transferrable. Ticketing Service Fee is not applicable in web purchase. Fare is refundable when application for visa is denied, subject to a fee. Passenger must show proof of application and denial at any PAL ticket office. Flight reservation must be cancelled upon passenger’s receipt of visa denial or 7 days prior to departure, whichever is earlier. For visa denial within 7 days prior to departure date, PAL will collect a No-Show fee unless booking is cancelled 24 hours before departure date. Infant fare for infant without a seat under 2 years is 10% of adult fare. Child fare is 75% of adult fare. 100% mileage accrual. Quoted fare is rounded off to the nearest whole number. Other travel conditions apply. Fare is inclusive of 7-kg hand carry baggage. Free check-in baggage is 30-kg. There may be additional fees for your checked baggage in excess of your free baggage allowance.